People who travel frequently know that spending time at airports is an inevitability, whether they like it or do not like it, and most of us do not like it very much, preferring to avoid it whenever possible. 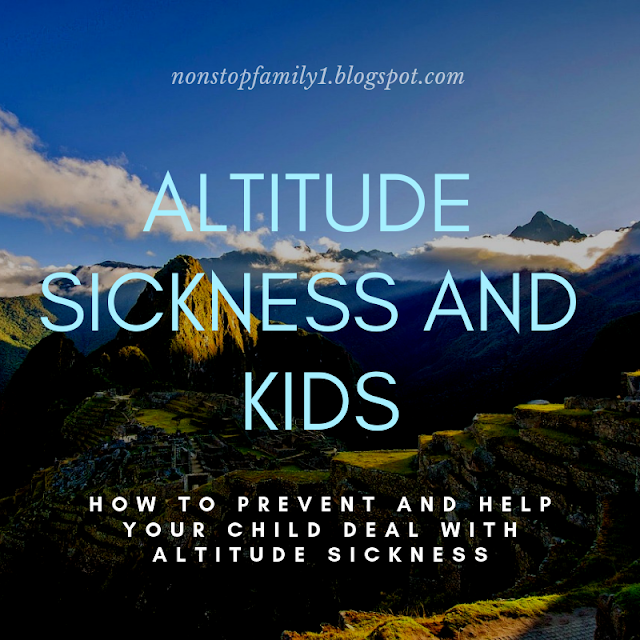 We also like to avoid it, especially since we usually travel with family and with children this can become more difficult. To avoid that these moments are difficult for the family, before each trip we always look for the best way to enjoy the hours that we have to wait in the airports (you can see here our post: How to survive long airport layovers with children's) and , one of the airports we have spent the longest time is Heatrow in London. We've been to Heatrow several times already, and despite having several offers that can help to spend a few hours, this is not at all one of our favorite airports to stay for many hours, as we tend to find it very confusing, noisy and very busy, as well as being one of the busiest in the world, with thousands of people going through it all the time. A few years ago, in one of our tours of Heatrow, we tried to organize our trip so that instead of spending an hour at the airport, our layover passed for close to 24 hours and that allowed us to spend an exceptional day in London (you can read more about our day here). However, in our last layover we had come on a long trip, so we felt it was time to return home and the idea of ​​extending our stay in London was out of the question. We then had a layover from around 11am at Heatrow airport that we did not want to pass inside the airport at all, as we are sure would be huge and difficult times to pass. WHAT TO DO IN A LONG LAYOVER IN HEATROW? Then we were sure that we would have this time at the airport (of course, if we did not have any setbacks that fortunately did not happen), we started at home just thinking about what to do to enjoy these precious hours. The main possibilities that came to us were to visit central London, a visit to Legoland, which is not too difficult to access from Heatrow airport and, finally, to visit the city of Windsor. As you already know by the title of our post, our choice was to make the visit to the city of Windsor, and we will explain the reasons for our choice. Visiting central London is always appetizing but as about 2 years ago we had been there and as the relocation is still expensive we decided this would not be our choice. Hypothesis number two was very attractive, to visit Legoland but, we were traveling for more than 20 hours, having already carried out a flight of about 11 hours, reason why the visit to Legoland would not be properly taken advantage of, besides we would have a few hours to enjoy it, and to spend the money of the ticket that, still is considerable, not to enjoy it, we chose not to realize it. However, this is a visit we really have to make, because our son and, not only him, is a huge Lego fan, and we are sure that this visit will not stop him from marveling. So, our decision fell on the visit to the city of Windsor, which we recommend very highly, since it is a wonderful way to enjoy the hours you have to wait for your next flight. But if you are planning this possibility, there are certain issues that have to be taken into account, the first is time. We all want to make the most of the layover time at an airport, but if there is something nobody wants to risk losing their flight and thus risk ruining their entire trip. 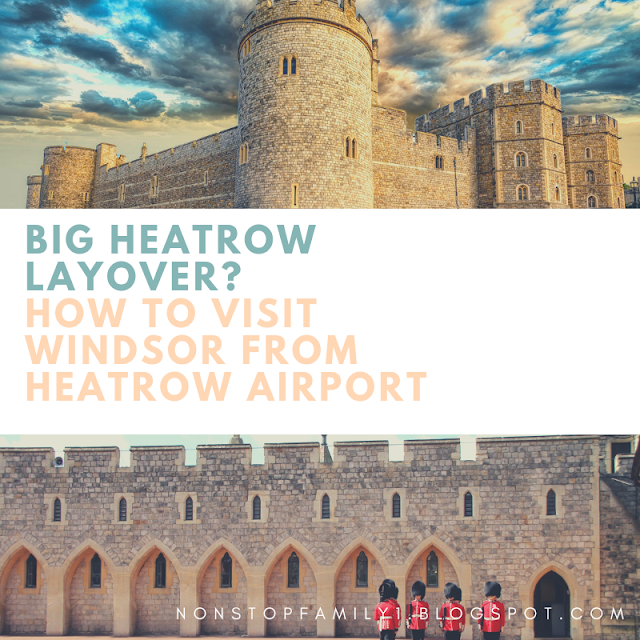 Although Windsor is close to being close to Heatrow Airport, we do not recommend that you consider this if your layover time is less than 8 hours. And why do we talk about 8 hours? Because even though 8 hours might seem like a long time to stroll through a city, in reality it will not be 8 hours that you will have available, but much less. 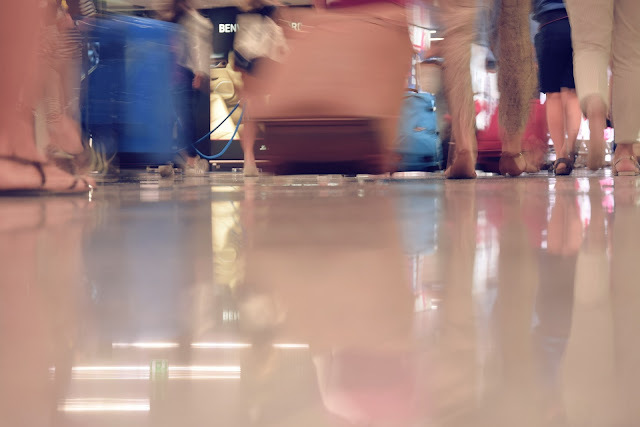 From the time your plane lands to being out of the airport, it will always take at least an hour and, if you do not have to pick up your luggage. And when we talk about an hour we are being positive because something like an hour and a half will be more time that can take time, and this time of delay can always be conditioned by several factors always unpredictable when we refer to travel by plane. In addition to the time it will take to get out of the airport, you should count on the time you should spend before your plane leaves the airport. At the very least, we always recommend 2 hours, we do not like to play with these subjects and fortunately we never lose any plane but, even respecting these two hours in advance, we have already caught our scares. Arriving less than 2 hours to the airport is risk losing your flight and I do not even recommend this time, especially at an airport like Heatrow, so I would always aim for at least 2h30m. So, made the accounts, one can easily see that from the 8 hours of layover, close to 4 are destined to enter and leave the airport. For the remaining hours, we must also travel to Windsor and return to Heatrow. We pass on another of the essential issues to anyone who is preparing a visit to Windsor from Heatrow Airport, which is: How to get from Heatrow to Windsor? Well, there are several options that you can choose from the time you have and of course your budget. This is probably the most comfortable and quickest way to travel from Heatrow Airport to Windsor. There are several companies that work from the airport and the trip is short, some 15 Kms and lasts approximately 20 minutes. The main disadvantage is the cost, which will be around 45 to 50 pounds. However, there is a possibility of getting to make this trip for much more affordable prices, and we are talking about the possibility of pre-book to local cab from Windsor. 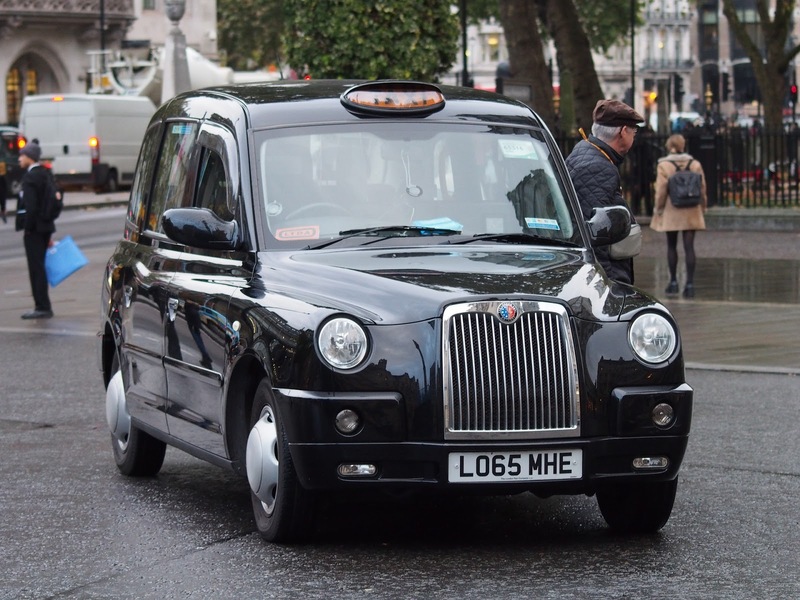 In order to make this taxi journey cheaper, at around £ 20 per journey, you can book your taxi through companies working in Windsor and you will be able to make the round trip to Heatrow Airport Windsor and then his return. To travel in this way, you can consult the following companies by clicking on their name to access their official website. However, there may be other companies, so we advise you to do a search and find the best deal for you. WHERE TO GET THE TAXI IN WINDSOR FOR HEATROW? If you have not pre-book and wish to take a taxi back to the airport, we recommend that you take your taxi to the Windsor area where taxis are easily and frequently available and even find taxi rank, which is right next to the Castle. To get there, you only have to turn right at the exit of the castle through the gate of Henry VIII, go down a little at all times around the castle walls and you will see the taxi rank, nothing to cheat. Let us now speak of the last hypothesis which was chosen by us, and the reason we chose it is obvious, the price. We are talking about going from Heatrow Airport to Windsor using the local bus. This will be the option that takes you longer, so we only recommend for those who actually spend a lot of time at Heatrow Airport, as we mentioned, our layover time was over 10 hours, so we had enough time for this choice and, we are required to recommend it to anyone as we like to travel as much as we can and thus save as much money as we can. However, let's say again, this option is even for those who have many hours available, it is not worth risking losing the flight for this tour, however good it may be. To get to Terminal 5 from Terminal 1, 2 and 3, you only have to take the Heatrow Express train, which connects between the different terminals. In addition to being a quick trip, the train leaves with a frequency of 15 minutes and, always good, is totally free for the trips made inside the airport. Regarding Terminal 4, you will not be able to make this connection, which will have to be done through the red buses 482 and 490, which make this transfer, also free of charge. The journey takes only a few minutes and you will not have to wait too long for your bus. However, once again we leave the warning that you will have to rely on this time of changes between the different terminals when calculating the time you can spend in Windsor and, do not forget to leave some room for some unforeseen event that may occur. Do not worry about knowing where you need to catch the train or the Bus, inside the terminals, you just have to follow the various directions that lead you to where to get the connection to Terminal 5, there is nothing to cheat. After arriving at Terminal 5, you have only to follow the directions that lead you to the different Bus, something that has nothing to cheat. When you get there, you have two chances to get to Windsor, but we'll start by talking about what we've used that does not make any change easier. The hypothesis we are referring to is the First Berkshire bus that runs Route 8, between Terminal 5 from Heatrow and Windsor, through Staines and Eghan. To take this bus, you have to go to stop number 9, and you can get the ticket from the driver. You can pay in pounds or credit card, which was our option. The bus usually leaves every 30 minutes (you can check the time here), and travel to Windsor in less than an hour when there are no setbacks. Although the Bus ended its course in Windsor, we asked the driver which is the best station to go out to the Castle, who recommended us and, in a very nice way, advised us in good time to leave at the Windsor Parish Church stop (Stop A). Anyway, there it's hard to get lost, as it is very close to the Castle and you will easily know you have arrived. As for the price, it is cheaper to buy a ticket that offers the possibility of a return and that is what we did on the driver's advice, with the price of the trip being £ 6.50 per adult and £ 4.50 per child (from 5 to 15, less than that age is free). The return to Heatrow from Windsor on the First Berkshire 8 bus is also very easy to do. To do so, just go to the bus stop outside the Parish Church (Stop A) , or to Windsor Barclays Bank (Stop C), and wait for your bus. If you have done the same thing as us, you do not need to buy your ticket, you just have to show what you got on your first trip, just be careful not to throw it away before you reach your final destination, Heatrow Airport. the last bus stop, so you have nothing to cheat about. If your plane does not depart from Terminal 5, you will need to use the means of transport mentioned above to get to your destination and simply follow the directions easily visible at the airport. There is yet another alternative, which we did not use to oblige a bus change and so the journey time will be more time consuming, even though the cost is exactly the same. And this hypothesis is to take the First Berkshire Bus 7 which departs from the Central Bus Station at Heatrow Airport, which can be reached on foot from Terminal 1 and 2. This bus departs towards Slough Bus Station and then , you will need to take one of the following buses to Windsor Castle, the 2, the 8 or the 702. We leave here notice to be careful on your return because if bus 7 is your choice for return, when you arrive in Slough, you will have to leave Wellington Street as the bus does not enter Slough Bus Station. For more information on schedules, routes and prices, check here. - The first advice is, organize your tour very well, what you want to see, how much time will be available. If you want to get to know the city, a lunch, count for at least 3, 4 hours, which should always add the time of leaving the airport, 1h30, at least 2h hours before the plane leaves, but we recommend 3h in international flights and, some to the shipping time it will take. If you have this time and preferably a little more? Advance, it is very worth taking advantage of these hours, sure to be much more precious than the torture of waiting so many hours at the airport. - Sometimes we have a great plan and we want to do something really, but things do not go very well, the plane is delayed, or it takes longer than expected to leave the airport ... When you leave the airport and you are close of your means of transportation is the best time to check if you have time to carry out your plan, if yes, advance, if not, stay for another time. 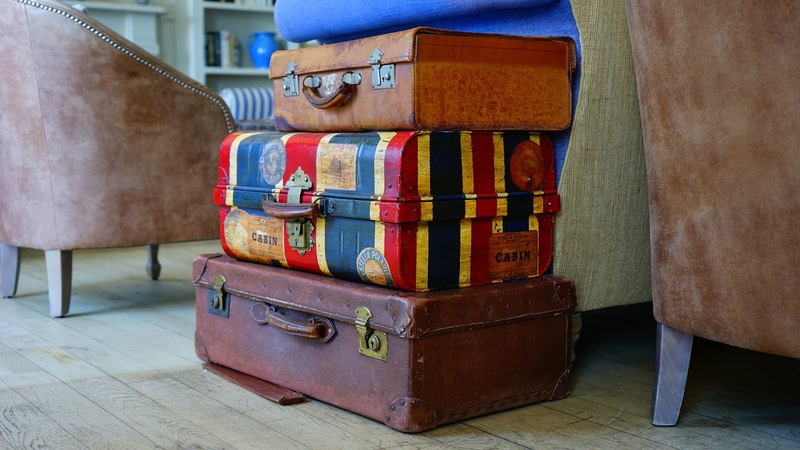 - If possible, avoid carrying your suitcase. Many connecting flights do not require you to take your bag, being transported directly from one plane to another. If this is not the case, consider leaving it in a locker that the airport offers, the cost is reduced and will make your visit more enjoyable and, if you decide to visit Windsor Castle, avoid the danger of being at the door for no to take with him. - While strolling around the city, have fun, enjoy, but always be aware of the hours and near the time of departure, try to walk closer to the place where you will catch your means of transportation, being careful to address it with the necessary advance. 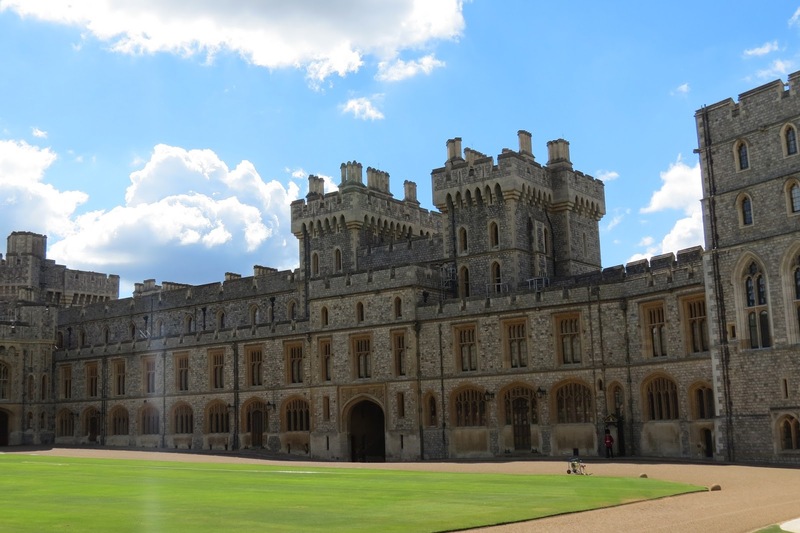 WHAT TO SEE IN WINDSOR? Windsor is a very beautiful city. We love to wander the streets, by the Thames, it's a great place to shop, eat (we eat delicious fish and chips at Chippy of Windsor and of course see the castle and, if you're lucky, see the Changing of the Guard at Windsor Castle, which takes place at 11am on Tuesdays, Thursdays, Saturdays and Sundays, and in June and July this change takes place almost every day. 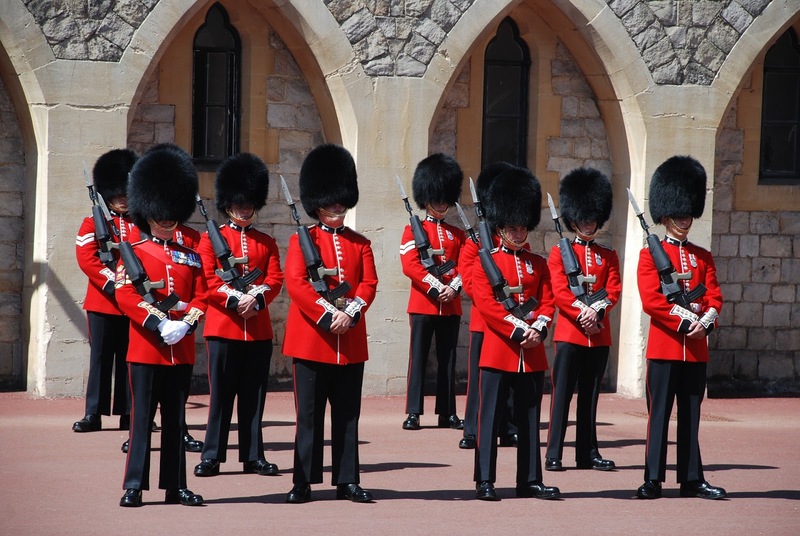 Anyway, you can consult the British Army's schedule through its official website to see if the Changing of the Guard will occur on the day of your visit (click here). The guard change takes place inside Windsor Castle, so you will need to purchase a ticket (see here for entrance fees andtimetables), but if you are not planning to visit the Castle, you can watch the guards to march next to the castle, when they arrive and leave the same. Note that if you are planning to catch the bus near the Castle at the time of changing the guard, this street is closed to traffic and the bus does not pass, so you have to wait for the next one or, go down the street and pick up the next pay, which has nothing to cheat because just go down the street always next to the Castle. To visit the Castle, you can do so between 9:30 a.m. and 5:55 p.m. in summer time and between 9:45 p.m. and 4:30 p.m. in the winter. To consult more in detail the opening hours and prices, we advise you to visit the official website clicking here. 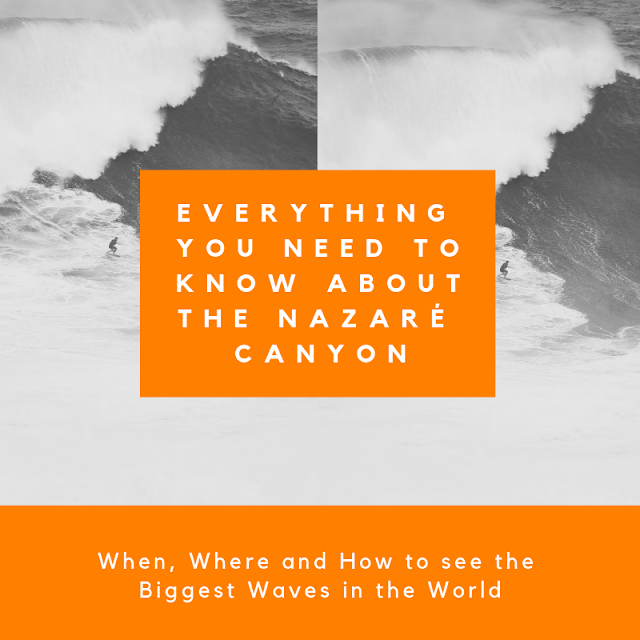 To finish, we wanted to say that although we have throughout our article left several warnings to be careful with the time, this is a visit that, if it can do, we recommend even. Spending several hours in an airport can be a nightmare, especially for those who travel with children, and the possibility of taking advantage of these hours and making a visit as extraordinary as the one we make pays off. Thank you very much for visiting our Non Stop Family travel blog, we hope the information we give here is useful and, do not forget to leave your comments, opinions or questions in our comments box.